Epileptic power supply hurts the economy of any nation including Nigeria which once unfortunately occupied the 70th spot on the global electricity production chart by the Central Intelligence Agency (CIA) World Fact Book. In spite of the fact that Nigeria is not lacking in electricity sources as it has abundant hydro, thermal, solar and wind electricity sources to generate adequate power supply, the country still finds it challenging to supply electricity to its huge population. 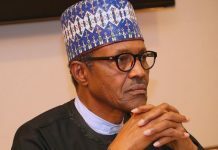 For years now, market analysts have posited that the problem of the country’s huge power deficit isn’t entirely unconnected with the lack of the right political will to do the needful, as well as an abysmal record of improper management of public power bodies. With regards to history, the first 132kV line in Nigeria was built in 1962, to link present day Ijora power station in Lagos to Ibadan power station. But as the years went by, there were no commensurate deliberate policies to continually boost electricity supply infrastructure to a fast growing population. Even when efforts were made, they were not holistic until the country’s return to a democratic system of government in 1999 and the setting up of the National Independent Power Project (NIPP), in 2005. Through the National Electric Power Authority (NEPA) and Power Holding Company of Nigeria (PHCN) era, epileptic power supply was the norm and the expectation for stable power supply in the country was continually dashed. In those years, hydro-electric dams went into decay while the transmission and distribution equipment and lines became obsolete. Adjudged a patriotic plan to confront the country’s energy crisis, the NIPP was conceived and approved by the National Council of State (NCS) and the National Assembly. An initial funding of $2.5 billion for the NIPP from the Excess Crude Oil Account (ECA) was approved, and the NDPHC was thereafter incorporated as a limited liability company to serve as the legal vehicle to build and hold the NIPP assets. In 2008, the National Economic Council (NEC) voted $5.375 billion from the ECA as what was termed the Power Emergency Fund (PEF) to complete the NIPP. The NEC equally inaugurated the NIPP steering council in January 2009, chaired by Dr. Goodluck Jonathan, who was then Nigeria’s vice president with six state governors and four ministers as members. The NIPP steering council, which thereafter transformed into the board of directors of NDPHC is currently statutorily headed by the vice president of Nigeria. In February 2009, the council also approved a budget of $2.213 billion from the $5.375 PEF for the first phase projects of the NIPP. It also approved $423.639 million to PHCN as special intervention fund. In June 2010, the council again approved $123.110 million to augment the phase one budget and N1.750 billion to buy NDPHC corporate headquarters in Abuja. Being what experts considered a child of necessity and backed by the three tiers of Nigeria’s government, the NDPHC then went on to build several gas turbine power plants; distribution; and transmission facilities and lines across Nigeria. Under the NIPP, 10 new power stations have been built, thus adding more megawatts (MW) to the national power output. Plants such as 750MW Olorunsogo-2; 450MW Sapele; 434MW Geregu-2; 450MW Omotosho-2; 450MW Ihovbor; 450MW Alaoji; 563MW Calabar and 225MW Gbarain, were initiated and built although with some of them yet to be fully completed. Also, the NDPHC has reportedly completed 2,194 kilometres (km) of 330kV transmission lines and 809km of 132kV transmission lines, resulting in an increase of 46 per cent and 13 per cent respectively over the pre-NIPP status of Nigeria’s grid infrastructure. It has in addition reportedly constructed a total of 2,600km of 11kV and 1,700km of 33kV distribution lines to improve electricity access in Nigeria. Based on its contributions, Nigeria at the moment relies heavily on the NIPP plants for electricity supply; grid instability; and opening up of access to supply. However, recently, the Managing Director of NDPHC, informed THISDAY that even the electricity supplied to the grid from the NIPP plants, have been given at considerably cheap rates, indicating the NIPPs are mostly subsidising supplies to Nigeria. Similarly, records obtained by THISDAY had shown that the NIPP plants in a way provide about 265MW of spinning reserves to the grid, which serves as a means of restoring the grid whenever it experienced any form of disturbances on the transmission network. Thus, being considered a key support base for Nigeria’s power infrastructure, the planned privatisation of the NIPPs which was initiated in 2014, postponed, and then recently restarted, have been considered by many a process that needs to be completed soon to, on one hand, economically make the most of the power plants, and then again, give the NDPHC time and financial resources to accomplish its other tasks of expanding electricity access across Nigeria. But before the privatisation would be completed and then considered a success, there are however a couple of existential challenges in Nigeria’s power sector that the NDPHC and NIPPs have to struggle with. Indeed, Nigeria’s power generation capacity has risen, so also has demand for electricity supply on account of a growing population. The country’s power distribution system though with measured improvements with the installation of hundreds of injection sub-stations; 11kV lines and 33kV, have remained one challenge to the NIPPs. One recurring snag with power supply in Nigeria has been with the distribution chain where despite the targeted increase in generation, the distribution networks have reportedly remained largely inefficient and unable to take all that can be generated to the end users in their homes and businesses. Experts, in their views have pointed to the distribution networks as the sector’s biggest distress point because they are unable to more power to consumers despite the traditional rule of thumb that the Discos capacities should be more than that of the transmission network. The Discos have also failed to maximise the generation capacity because their networks been poorly managed, in that recouping revenue for power sold to consumers have been too difficult a task for them to undertake efficiently. 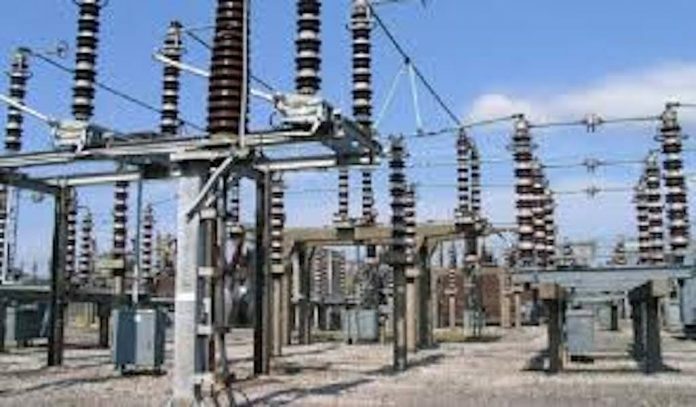 Additionally, the construction of power plants, transmission and distribution lines through the NIPPs have not guaranteed some level of stable power supply to Nigeria because on one part, sabotage of gas pipelines that supply gas to the plants have persisted, in addition to the obliteration of transmission lines around the country. Some other challenges that the NIPP is grappling with include security and community issues; right-of-way challenges for distribution equipment and transmission lines; port clearing coordination hitches and contractor performance-related problems. Even though the three tiers of government own the NIPP, equipment imported for the power projects are often delayed or held at the ports by the Nigeria Customs Service (NCS) because of non-payment of import tariffs thereby stalling the execution of some power projects. 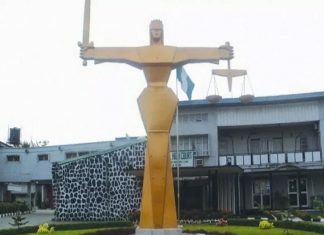 Some of the equipment at the ports were at one time said to have been auctioned by the port authorities after demurrage charges had accrued on them, and it took the intervention of the Senate to recover some of the equipment sold off under questionable circumstance. At a recent meeting of stakeholders in the sector, it was posited that to keep the NIPPs away from such construction delays, the government should consider waving duties on equipment for power projects; educate and hold contractors accountable to their duty to deliver on their tasks; as well as perhaps set up a special para-military unit to take on vandalism of infrastructure and kidnap of the employees of the contractors. Host communities would also need to be educated on the recurring problem of right-of-way for the routes for the 330kV and 132kV transmission lines of the NIPP. Once, when the NDPHC diverted its transmission line to the Ihovbor station in Edo state at a considerable cost because of the presence of an idol shrine, a new shrine suddenly emerged on the new route with villagers placing huge financial demands as a condition to relocate it. Other sources of power generation, coal, wind, solar, must also be aggressively pursued. The largest increase in the United States power generation comes from wind, increased by 168 billion KWH and solar by 18 billion at one particular time. Excluding nuclear power, Nigeria is rich in all these other resources. Following disclosures that the government and preferred bidders of three NIPP plants which have been slated for sale in a resumed privatisation programme are currently negotiating fresh terms in a bid to conclude the exercise, experts feel it would be important the process goes on unhindered this time around. 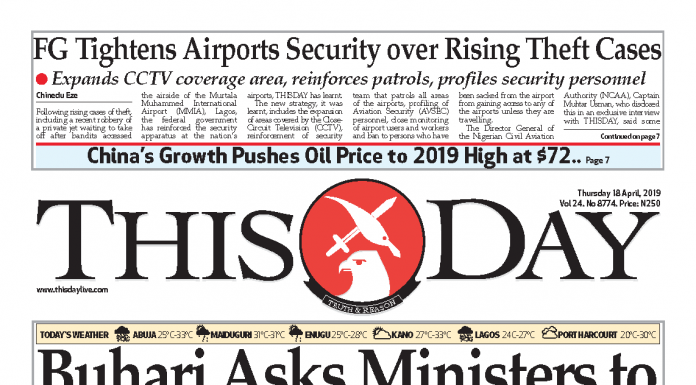 In Abuja, THISDAY gathered from sources that in the resumed negotiations, factors such as sources of funds to finance the acquisition; operational statuses of the three plants up for sale; and the financial liquidity challenge of Nigeria’s power market have been key priorities to both government and investors. Accordingly, the power plants to be sold in the first phase of the resumed assets sales are 630.5MW Calabar; 504MW Geregu; and 518MW Omotosho plants. 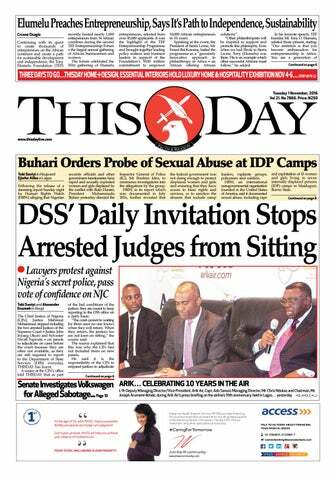 Sources explained to THISDAY that the government was worried about the sources of finance for the exercise considering that the transaction is structured to be funded by 30 per cent debt and 70 per cent equity. They equally noted the government considered that Nigerian banks may have been over-exposed and may not be able to provide the debt portion of the financing, hence, its consideration of measures to allow for unhindered offshore financing. Additionally, the renewed negotiations have taken into consideration the operational statuses of the Gencos, and as such their original prices may not be the same. As Africa’s most populated country, with a deep energy deficit, the initiation of the NIPPs has helped advanced Nigeria’s attempt at solving her energy problems, however, the planned privatisation of the Gencos would need to be concluded without further delays to take full advantage of their capacities. Keeping the privatisation process deferred has proved to be a costly exercise for the country and indeed the NDPHC which reportedly has to scratch at all times to keep them running. To fully live out its mandate of expanding access to power in Nigeria, the privatisation of the NDPHC’s Gencos should be concluded fast, and the company adequately funded and politically backed to pursue its other jobs.